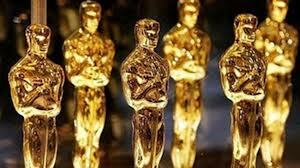 The Nominations are in and Uncle Oscar is getting more weird and irrelevant than ever. Oh well. Argo or Lincoln should get best picture. It wont happen. The Academy is full of slumdog millionaires. Look for a sweep by Beasts of the Southern Wild-—a film 13 people ever saw! Film and writing genius, Quentin Tarantino will get snubbed for Django Unchained but only perhaps because society had way too much of real blood and guns in 2012. The message to kill white men took the evil of slavery message way beyond the good messages propelled by The Help in 2011. Hopefully the film will get some awards in costume and cinematography. It is hard to believe that Zero Dark Thirty even made the list. Come back for more of TGM’s hits and picks! Being on sabatical, we posted very few full reviews for 2012…but you will still find us in the front row. And don’t forget our huge library of commentary from 2010, 2011 and earlier—great reference for renting a DVD tonight.